The international executive search companies Pedersen & Partners and WE Partners (Korn Ferry) have selected 24 foreign candidates for positions in the Ukrainian government, National Reform Council Executive Director and deputy presidential chief of staff Dmitry Shymkiv said. "Ukraine is facing extraordinary challenges, such as the difficult economic situation, Russia's aggression, and the need for radical reforms and efforts to combat corruption, and this requires nonstandard solutions in the public administration sector. We wanted to professionalize the selection of specialists for a new government lineup and to expand the opportunities for selecting candidates in Ukraine and outside it," the presidential secretariat quoted Shymkiv as saying in a report available on the presidential website. The principal criteria were candidates' professional qualities, their successful record, the absence of a conflict of interest, and values oriented toward serving to Ukraine, he said. "Ukraine urgently needs Western practices of public administration, anti-corruption policies, financial planning, and anti-crisis management," Shymkiv said. 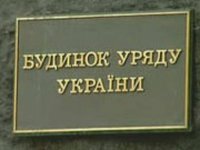 The National Reform Council asked the International Renaissance Foundation on November 14 to finance the engagement of prominent employment agencies to select candidates to serve in Ukraine's public administration sector, primarily a new government. International Renaissance Foundation Executive Director Oleksandr Sushko said the foundation first contacted three most prominent world agencies specializing in selecting candidates for public services, i.e. Hudson, Pedersen & Partners, and WE Partners (Korn Ferry). "Two of them (Pedersen & Partners and WE Korn Ferry) agreed to work on the assignment. The companies have a successful record of search for candidates for leading positions in the governments of the United Kingdom, the U.S., Saudi Arabia, and other countries," Sushko said. Tetiana Furtseva, a senior partner at WE Partners (Korn Ferry) Ukraine, said, "We have searched for candidates not only in Ukraine. We have considered managers of Ukrainian descent who have built successful careers abroad, especially from Canada and the U.S., where the Ukrainian diaspora is traditionally big, and also from the United Kingdom." Volodymyr Kolomiyets, a partner for client relations at Pedersen & Partners, said Ukraine urgently needs managers having a successful record of crisis management. "In our search, we focused primarily on managers from Ukraine having international education and experience in major companies and who are also recognized experts in their fields. We are happy to acknowledge that such high-level experts are willing to consider the opportunity to work for government agencies to reform the country," he said. The search for candidates has been finished. Out of the 185 candidates the companies invited for the first interview, 24 have been selected following a number of tests and further interviews. The recruiters recommended the largest number of candidates for working for the Agrarian Policy Ministry and the Finance Ministry (four each). The companies have been paid $82,200 for their services from the International Renaissance Foundation. Negotiations are currently under way with the candidates. They also have to be cleared with the parliamentary coalition. The candidates' personal data have not been made public at this stage of the negotiations.